If you’re thinking about getting dermal fillers and live in London or the surrounding area, then Save Face can put you in touch with a qualified practitioner. At the moment in the UK, non-surgical cosmetic procedures are almost completely unregulated. This includes treatments like dermal fillers, which can be used to fill in fine lines and wrinkles, as well as to plump up the lips. As a result of this lack of regulation, anyone, regardless of their skills, knowledge or previous experience, can advertise themselves as a non-surgical cosmetic practitioner and administer these treatments to the general public. This is despite the fact that when they are administered incorrectly, non-surgical cosmetic treatments can have disastrous effects on health and wellbeing. In April 2013, a review was carried out of the regulations surrounding cosmetic interventions in the UK. This review was led by Sir Bruce Keogh, the Medical Director of the NHS for England. In it, he said that dermal fillers are a particular cause for concern, as legally, a person having this type of procedure has no more protection than someone buying a ballpoint pen or a toothbrush. 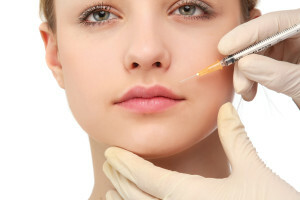 Unlike botulinum toxin, which is used in injection form as a wrinkle relaxer, dermal fillers are not considered a prescription-only medication. Sir Keogh believes that because of this, dermal fillers are a crisis waiting to happen. The explosion in the popularity of non-surgical cosmetic procedures over the past ten years has led to a significant rise in the number of people administering these treatments, and the lack of regulation means that many of these people are far from qualified. These unethical individuals advertise themselves on the internet and in salons across the country, tempting unwitting consumers with low prices, time-sensitive deals, buy-one-get-one-free offers and sometimes even the ‘convenience’ of providing these treatments at home. The results of this have been disastrous. Thousands of individuals have been harmed by these rogue practitioners, with side-effects including burns, scarring and even blindness. Save Face aims to reduce this risk to the consumer by providing them with a means of connecting with safe, experienced, properly qualified practitioners. All of the practitioners you will find when using Save Face have been vetted onsite against our strict set of objective standards to protect you from unnecessary risks.